They were friendly and the customer service was excellent. The room are clean the staff are verynice. And the location is very nice. Near to Getsemani and can walk going to western wall. property met my expectation although a little far away.good fast food across the street. Very nice Staff. clean bedding and clean Towels! Good Arab Breakfast included. The bed was quite comfortable and a member of staff was kind enough to let me borrow an adaptor plug because the one I had recently purchased was not fit for purpose. The location is great. The neighborhood is not do nice but is close to the old city. And you have a bus stop right outside the hotel. Good location, nice and helpful staff, beautiful view, very good and clean beds, good breakfast. 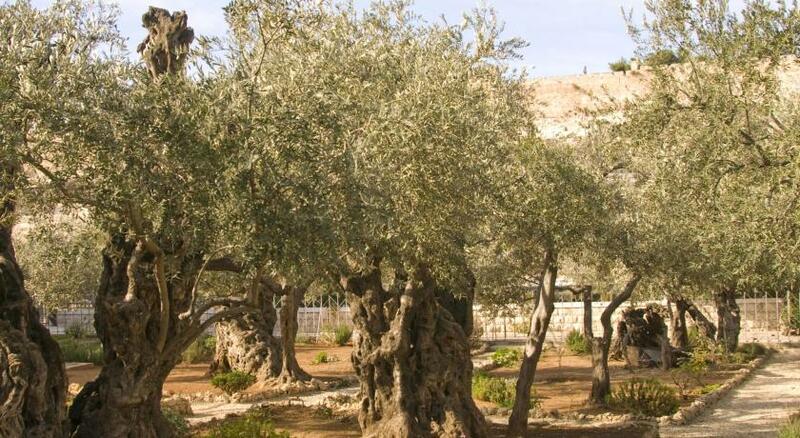 Situated at the summit of Mount of Olives in Jerusalem and overlooking the old city, this family-run budget hotel is surrounded by the holy sites referred to in the Bible. 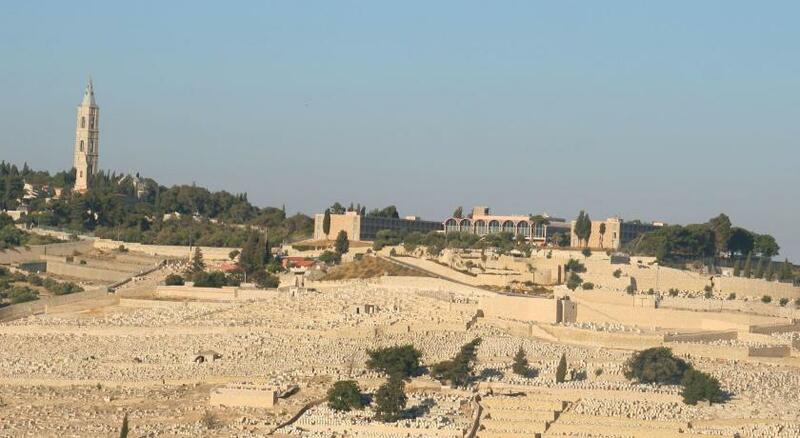 Mount of Olives Hotel offers great value accommodation in one of the most privileged locations in Jerusalem. Guest rooms are clean and comfortable and offer private bathrooms. Guests can make use of the on-site internet cafe or use the free wireless internet access available. 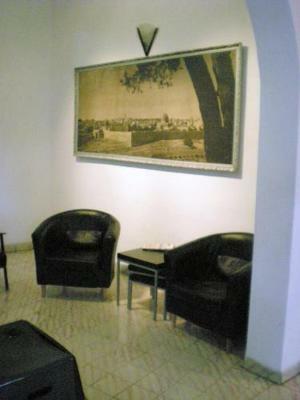 They can also enjoy a complimentary breakfast in Mount of Olive Hotel’s spacious dining area. 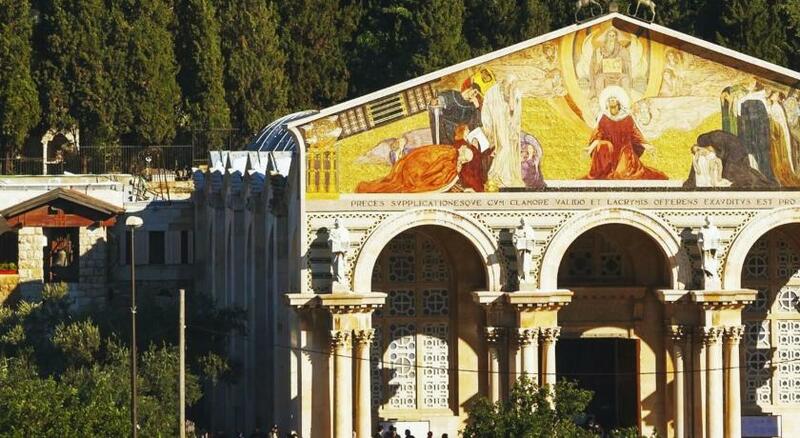 Mount of Olives Hotel is surrounded by the well-known holy sites, including the Chapel of Ascension, the Garden of Gethsemane and Dominus Flevit. 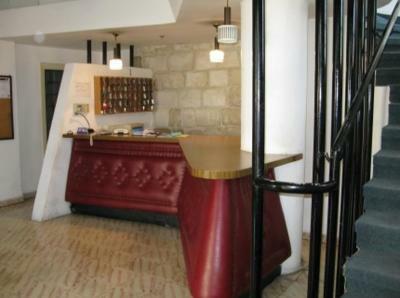 It is no wonder then, that this hotel is a favorite with pilgrims and independent travelers. 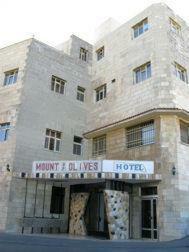 When would you like to stay at Mount of Olives Hotel? This room has a TV, fan and safe. Its bathroom has a bathtub and free toiletries. A modest room for those on a budget, unashamedly simple and slightly smaller in size. Includes towels and linens, telephone, room safe, heating in winter, air conditioning in summer, and a private bathroom. 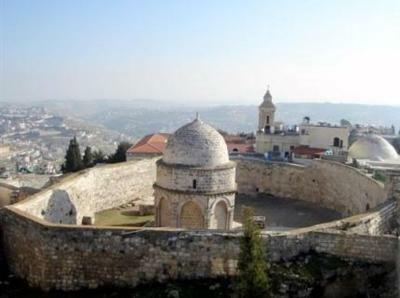 House Rules Mount of Olives Hotel takes special requests – add in the next step! Mount of Olives Hotel accepts these cards and reserves the right to temporarily hold an amount prior to arrival. The room was cold and so was the restaurant.A pair of thick,black out curtains would not have gone amiss either because there was a street lamp just outside my room which hindered my sleep at night.The hotel in general was extremely shabby - it looks as if it could do with a very serious make over.The original paint work is abysmal to say the least the carpets are badly scuffed,there are large brown stains on the ceiling tiles and some of the electrical sockets are loose and quite possibly a health and safety risk.Wouldn't recommend this place to anyone and will definitely never go back. We didn't have TV for 5 days. And the heater wasn't working properly and because it was raining a lot for a few days the wind and water leaked through the window, making the room too cold. But the staff after a few days changed our room to another one which it was a little better. carpet, chairs could be refurbished. Facility sucked. Muddy water came through the faucet. Little problem was where to go for supper. The very best of all was the location. Noise! Lots of Noise! Construction started before 8am. Facilities were not so great and the cleanliness was cause for concern. Still, the stay was fine. Carpet to dirty. Need to changed. Excellent stuff, friendly nd kind people. Shower was very poor. Room wasn't to clean.